Columbia Md Hair Salon – Vivid Salon & Day Spa tells the Truth about color Fade | Best Salon and Spa in Columbia MD! 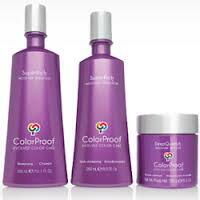 Make sure you’re using a shampoo created to protect and beautify color treated hair. Professional salon formulas work best. That’s why we carry Color Proof. There are no “filler” ingredients that compromise the health of your hair. Make sure hair is SOAKING WET before applying shampoo and lather ONLY ONCE. Use conditioner for color-treated hair. We recommend Deep Quench Moisture Mask. The quality is exceptional and that means lasting color and softness for you! Use only a high quality anti-fade color when retouching your roots. That’s where we come in. Our color is actually good for your hair. You can’t say that about box color! Sun fades color so protect your hair with a scarf or hat. We’d love to answer your questions about coloring your hair. It’s our passion to make you look good everyday!